JESUS, the HEALER! 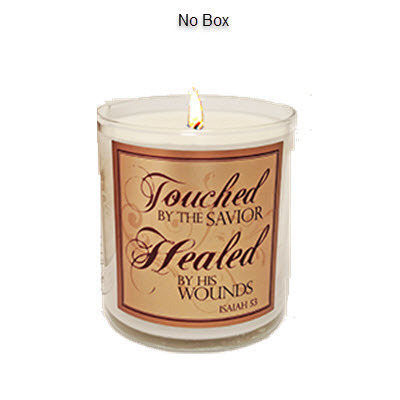 This Scripture candle presents a compelling reminder of the accomplished work of our Messiah! Faith increases when God's Word is proclaimed: "Touched by the Savior Healed by his Wounds" (Isaiah 53). Hand-poured with our all natural soy blend wax and cotton wick, this 3"T glass container candle is fragranced with Abba's signature blend of FRANKINCENSE & MYRRH and is packaged in a custom gift box. Approximate burn time of 30 hours and can be used with votive or tealight for continuous enjoyment. 8.7 oz by volume.